In the early hours of Tuesday 20th January 2015 we said goodnight to Popcicle aka dad. It is one of the hardest things I have ever had to do but feel strangely at peace knowing he is no longer in pain and thankful to God for blessing my siblings and I with a man like him for a father. Even in death he looked beautiful laying there- his stunning eyes closed for the final time, skin flawless, lips slightly pursued open as if his mouth was the final point from which his spirit could depart. My dad was a very wise man, multi-talented, strong, hardworking, highly creative, passionate, rebellious, funny, kind and frighteningly intelligent- in the words of my aunt he was the ‘crown jewel’ In the family. And as clichéd as it sounds he did have the X factor and knew how to light up a room just by his sheer presence. My dad loved people, loved life and lived for his family. He was so funny and bubbly without even trying- even the nurse called him a true showman. In another life he would easily have been a Nollywood actor, creative director and film director (all rolled in one) because he was that comical and theatrical. In fact some of my fondest memories in the past few months have involved watching Nollywood movies with dad. He couldn’t stop his running commentary whether its to do with the scenery, the plot (or lack of) or the shocking use of music; “this film is pay as you go- they are making up the scripts as they go along” he would say irritated. Dad could turn his hands to anything and had many different jobs in his lifetime-a soldier, a child model (he once won a competition to be the Cocoa Butter kid, winning a year’s supply as part of the prize), a fashion designer, interior designer, painter/decorator, handyman, self- taught electrician and plumber, trainee chef, gardener, carpenter- there was very little he couldn’t do. A little known secret, (though not anymore), is that my dad had on more than one occasion, rescued several people from a house fire just because he could (talk about modern day superhero!!!). He was generous to a fault- as a child I remember dad buying ice cream for children on our council estate at the same time he would buy ice cream for us, his children. He couldn’t help himself- as long as he had change in his pocket he would always want to bless others no matter how small. Even in death his generosity knew no bounds; though he wasn’t gifted with a new set of lungs, he decided he wanted to be an organ donor- giving life to others even though he had every right to bitterly hold his organs hostage. Dad always had a twinkle in his eye and was renowned for being mischievous with a quick mouth and a knack for one liners. Only a few days before he died he was engaging in banter with the nurse. Dad was a seasoned traveller with perpetual itchy feet and subsequently lived/visited many parts of Europe (Spain, France, Netherlands), the Americas (USA for a few years whilst travelling often to the Caribbean) and Africa (Nigeria and Ghana). He was a true global citizen proud of his Nigerian, Sierra Leonean and Brazilian heritage. He was a cultural chameleon fluent in Yoruba, Creole, English and Patois. 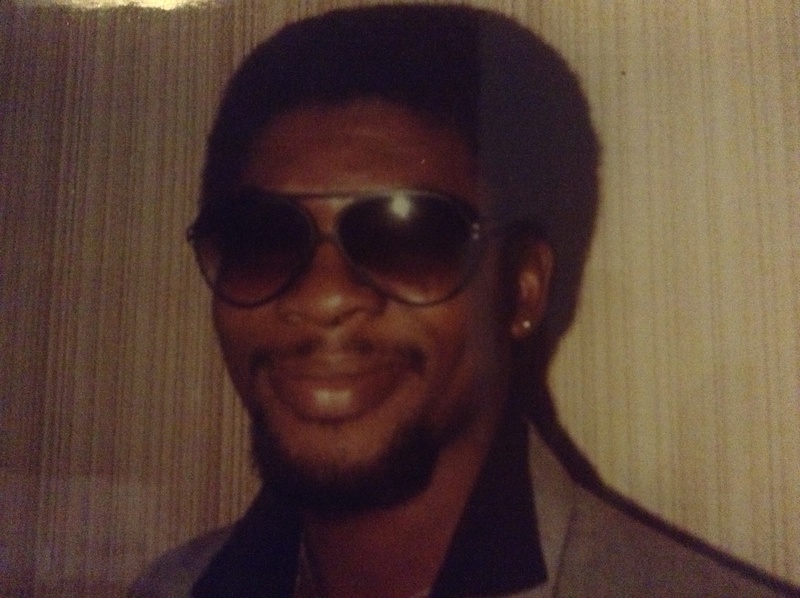 Dad was equally at home speaking in his native tongue (Yoruba) and switching it up at a moment’s notice (to Patois for example) depending on the company which he often did much to my horror! Anyone who knew dad knew he was a masterful story teller and adventurer-some of the things he experienced in life would blow your mind-mixing with millionaires, members of the royal family, celebrities but then also finding himself in dire circumstances; he lived nothing short of a FULL life and had the wisdom to go along with it. Dad loved to share his wisdom with anyone who would listen and most of the time it was superb even if you weren’t in the mood to hear it! I now realize in hindsight that this was one of the many gifts God had placed within him. As we gathered round his bedside that morning, we reminisced on the good times laughing and playing songs that reminded us of him. Each song had its own story, some of which I would love to share with you. Gentleman-Fela: This was Dad’s favourite and has coincidentally become my favourite track. Dad use to tell the story of this song being synonymous of being young, free and single before he started having children. He and his friends would regularly go to the Shrine- Fela’s night club and this would be one of their jams! Cue Black John Travolta- starched 70’s flares, large lapel shirts, gold chain with a small pendant and a huge Afro. They would step to this song as soon as the bass dropped- just the thought of it makes me smile. Bob Marley’s Exodus album- summer evenings, Guinness drinking, incense mingled with other ‘earthy’ fragrances, dad’s friends over, the sitting room temporarily transformed into the ‘boys den’- debating sounded like they were having a fight- good times. Johnny Nash- the whole best of album but especially Cupid beautiful childhood memories – either over Sunday dinner or driving back in the car from grandma’s or some aunty’s house. Any song by Jim Reeves – The soundtrack of Sundays as a child and Christmas throughout my entire life. If Jim Reeves is not playing then it is not Christmas according to dad. I am going to miss him beyond words but ever grateful to him and my many friends who prayed for us along this painful journey. I think about his legacy to my siblings and I and know that we are blessed and highly favoured to have had him as a father and role model. And throughout these past few years, as dad battled with Idiopathic Pulmonary Fibrosis-a little known serious lung disease, God had His hand on us right from the very beginning and even in the end He was with us. My dad refused to die defying odds, determined to live & in fact lived much longer than even he expected! The last 4 years have been tough losing 3 father figures but I find solace in knowing that my dad is in good company- resting in the eternal presence of the Almighty Father.